This a free to download e-book written by Christopher O'Donnell, a leading landscape photographer from Maine, New England. 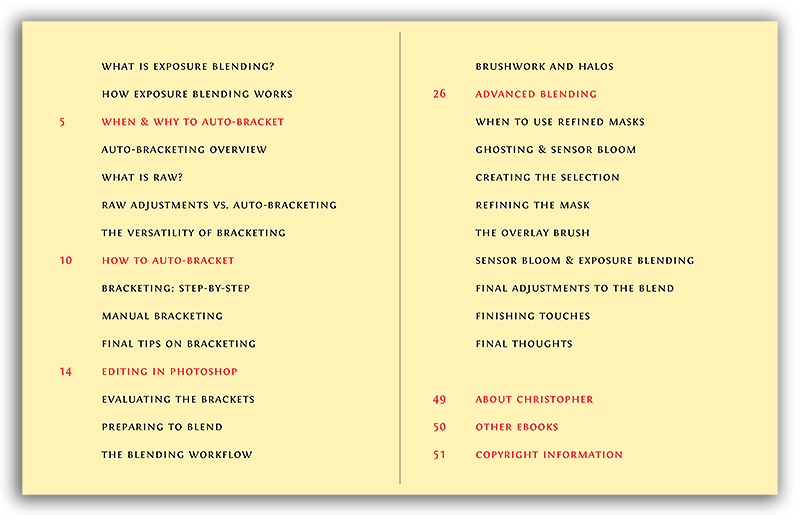 In this step-by-step guide, Christopher discusses the entire process of exposure blending by detailing his personal workflow – from auto-bracketing in the field, to combining different exposures in process. It can help you take your own landscape photography to the next level. As you’ve probably noticed, it can be difficult to capture a balanced exposure in the field (especially landscapes with a sky). Your camera sensor is limited to one aperture and one shutter speed at a time – it’s not possible to have two different settings within the same frame, which can be detrimental to a scene with a large tonal range. This will result in a landscape with a washed out sky, a darkened foreground, or disappointing combination of both. 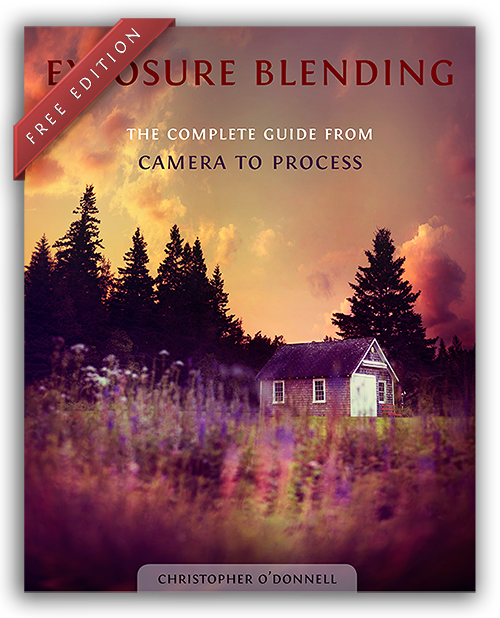 Exposure blending is a revolutionary digital dark room technique that will help you to overcome the limitations of your camera and photograph a landscape with the full tonal range that you see in the field. Simply put, in order to have a well-exposed landscape you’ll need one image exposed for the brightest tones in your photo (typically the sky) and another for the darkest tones (the ground, usually) when the lighting isn’t suitable to capture it all in one exposure – think of sunsets and how differently the natural light level is when you compare the sky to the ground. Once you have your two extremes, you blend them together to make one perfectly exposed landscape. 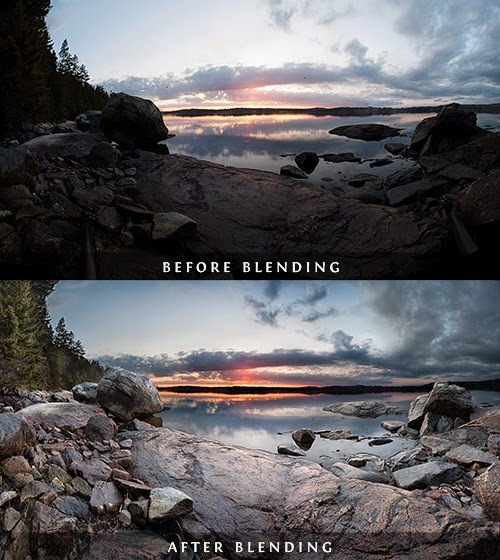 Exposure blending uses the same principles of HDR photography in the sense that we’re expanding the tonal range, but exposure blending creates a more natural-looking image since you’re not relying on the automation of software. Instead, you have much more control over the end result by manually choosing exactly where you want to blend your exposures together. It’s a method that is entirely customizable to your scene, which will produce a more pleasing result. To get your own free copy of this book, simply click here and then subscribe to Christophers email list ( you can always unsubscribe anytime you want to).